It's back to school for many of you - we found some time to relax over the summer, but we've also kept ourselves busy with these recent and upcoming projects. We were also delighted to welcome young people from the BAOBAB Centre (baobabsurvivors.org) for a short course at the end of August, and hope to build on this work soon. This week we're launching an exciting project at Parliament Hill School in Camden, looking at the history of women’s rights. 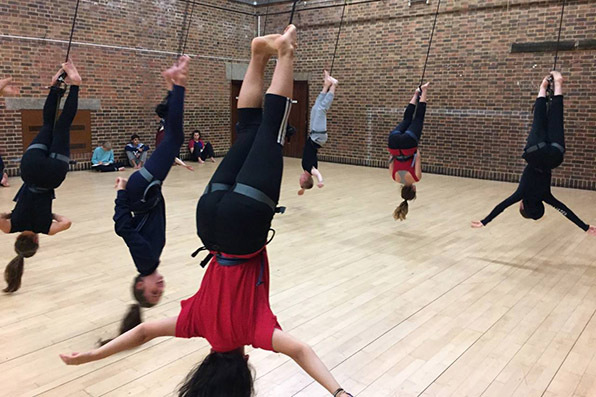 Over two terms, 40 students will research and devise a theatre performance and a photographic exhibition looking at key figures from the women’s suffrage campaign and discuss why political representation and activism are still important issues across the world today. For this project we are working with the Women's Library at LSE, Houses of Parliament, East End Women's Museum and the Museum of London. Follow the project on Facebook and on our webpage. Following a very successful pilot at Keys Meadow School in Enfield, we're now very pleased to be rolling our EXODUS - Take Part project out to four further schools, with two more to follow next year. 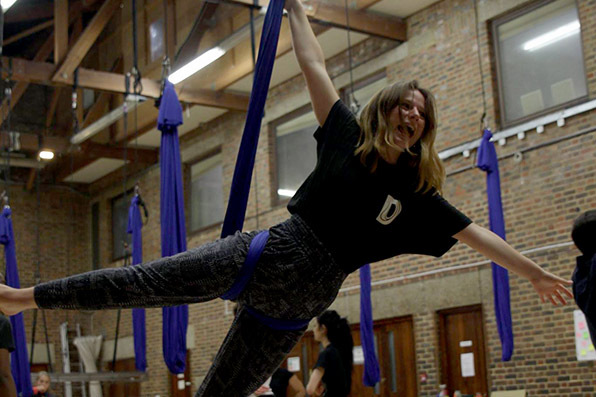 EXODUS - Take Part uses yoga, aerial skills, trust exercises and storytelling to share stories and challenge negative perceptions around migration and refugee arrivals. See a video about the project here. EXODUS - Take Part is supported by John Lyons Charity and Stavros Niarkos Foundation. The pilot was funded by Awards for All. Don't forget to check in with our social media channels to find out more about what we're doing! Copyright © 2017 Scarabeus Aerial Theatre, All rights reserved.